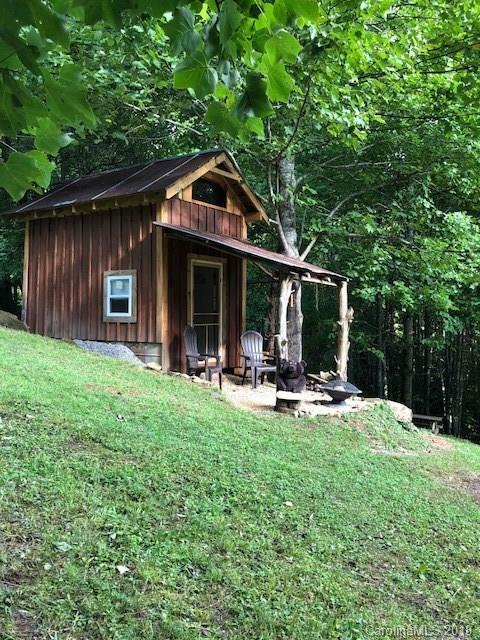 Have you ever dreamed of having your own little getaway cabin in the mountains of Western North Carolina? A place where you connected with nature and left all your worries behind. Your dogs roaming freely, the mountain air calming your spirit, epic hikes on the AT, kayaking the French Broad, mountain biking the Pisgah, campfires and local craft beers, endless music festivals, star gazing, hacking away on the acoustic guitar with friends, etc. Dream no more!!! A charming off-grid cabin just 15 minutes from the outdoor paradise of Hot Springs awaits you! This little tiny cabin would have Thoreau shriveling in his shoes as you take a warm, heated outdoor shower in the mornings with underground power and a 300 gallon cistern! Property sits on 2.8 gently sloping acres; about 10 minutes to Max Patch/AT; good views; and a wonderful feeling of mountain serenity & solitude. Must be seen to really appreciate.